If you are looking for password recovery and auditing application, then L0phtCrack Download is the best application for you. This application has been produced by the “Peter C. Zatko” who is also known as “Mudge” who works as a network security expert in L0pht Heavy Industries. This application is used to test any password strength and consistently used for recovering the lost Microsoft Windows password. It finds the Microsoft Windows passwords using the Brute-force, dictionary, rainbow tables and hybrid attacks. It is one of the best password cracking tools of choice and, it is the most used software within its older versions because of its high availability and the low price. The producer of this application was @stake later the L0pht merged with the @stake in 2000. In 2004 the @stake was then acquired by the company named Symantec. Then the US Government export regulations put a law due to which the Symantec stopped selling this tool to the new customers, and its support was also canceled in December 2006. Then in January 2009, the L0phtcrack was owned by the Zatko, Rioux, and Wysopal who were the original authors from the Symantec. Then the newest version of the L0phtcrack 7 was introduced and announced by its owner at the SOURCE Boston Conference on the date of 11 March 2009. The 64-bit Platforms of Windows also support this version of the L0phtcrack and it also contains the upgraded rainbow table’s support. Then on the 30 August 2016, the L0phtcrack7 was released, which was launched after the seven years of the previous version of the L0phtcrack. Now, this updated version of the L0phtcrack contains the increasing performance which is approximately up to 500 times than the older version of L0phtcrack, and it also supports the cracking of the GPU which wasn’t available for the older versions of the L0phtcrack. 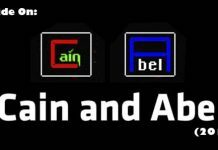 Read also: Cain and Abel Free Download for Windows 10, 7, 8 and 8.1. L0phtCrack is software which pursuits to crack any Windows passwords with the help of the hashes due to which it can obtain (gain total access) from the servers of the network, stand-alone Windows workstations, Active Dictionary or Primary Domain Controllers. In some of the other cases, it can also detect the hashes even if they are off the wire. This particular software has diverse methods or ways of generating password guesses and all the related password assumptions including the Brute Force or Dictionary etc. The Symantec itself canceled the fifth version of the L0phtcrack (L0phtcrack 5) in the year of 2006, then it was initially re-seized by the original creators of this particular software the L0pht creators. Then it was recreated by the L0pht creators in the year 2009 and was named as L0phtCrack 7. The latest version of L0phtcrack consists of very efficient and powerful functions or features. These features are the hash execution from the 64-bit version of the Windows, scheduling, networks monitoring or decoding and multiprocessor algorithms. And till now it is still the best and easy to use password recovery and auditing software available over the internet. This software can run on all of the versions of the Microsoft Windows and all of its higher versions. It can also be operated over the networks by the use of the Windows XP, 2000, NT, Server 2008 R1/R2, Server 2006 R1/R2, the operating system can work on both types of environments 320-bit or 64-bit. 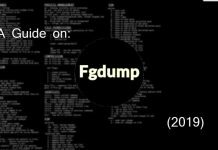 There is also another version of this software available for the Linux variants and BSD with another SSH Daemon. Read also: THC Hydra Password Cracker Free Download Latest Version. 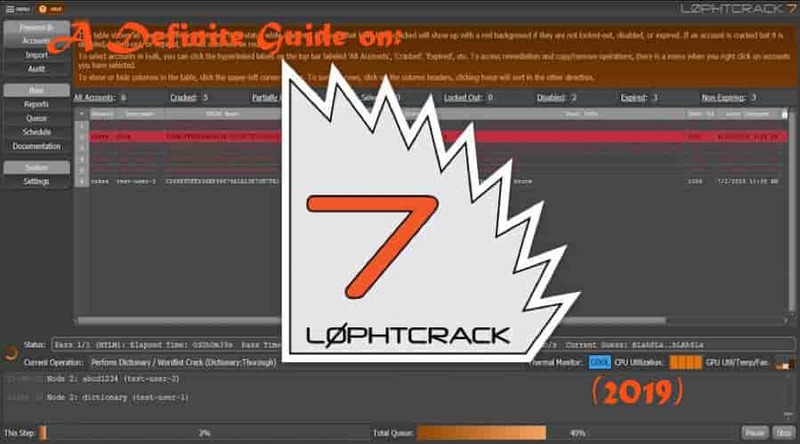 The sixth version of the L0phtcrack (L0phtcrack 7) also provides you with the scoring metric which can be used to appraise the password quality quickly. Passwords can be measured against any the current best practices of the industry, and they are also further rated as the Fail, weak, medium or firm. The seventh version of the L0phtcrack (L0phtcrack 7) also can import and importing any the UNIX password files. Due to which it can perform the network audits with the help of the single interface. 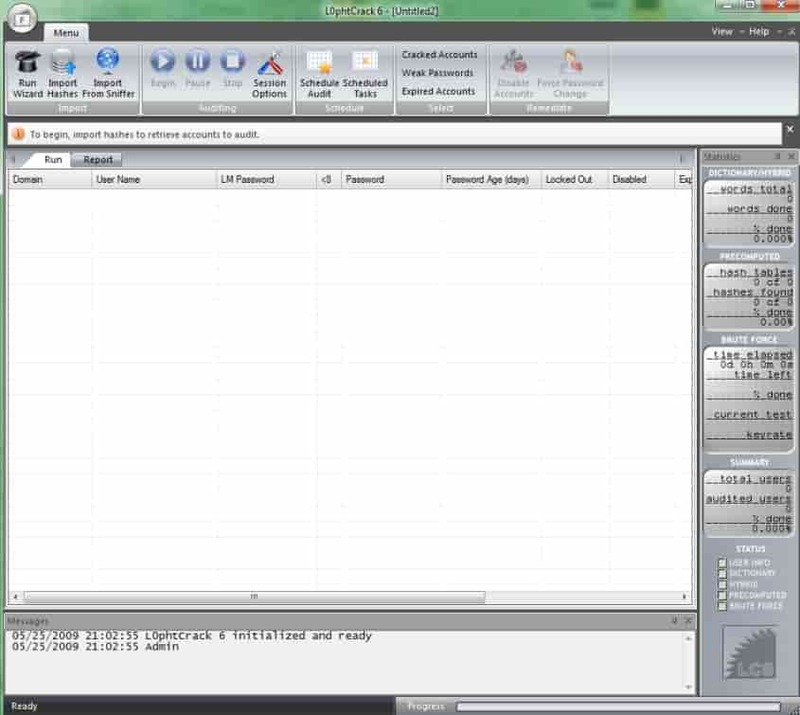 There are also some of the Pre-Computed password files which are the primary features in every password cracking and auditing software. The L0phtcrack 7 also supports those files and as well as the pre-commuted password hashes. Now, these types of password cracking and auditing only require a few minutes to complete their specific tasks rather than taking days or hours. With the help of the newer version of the L0phtcrack, you are required to perform the various scans at different times. There is another option of this software which is the scheduled scans. It conducts the scan on the different types of the expected time which you decide according to your ease. The newest version of the L0phtcrack which attempts the possibility of providing the remediation assistance to required system administrators and it also assists about how to take severe action against the poor passwords which can be applied on the several different accounts. These type of reports passwords can expire from within the L0phtcrack interface, and they can also be disabled. 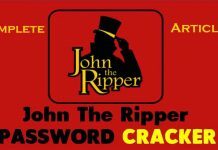 Read John The Ripper Download – Top Password Cracking Tool. The Graphical User Interface (GUI) of this particular software is very user-friendly and can easily be understood by any new users. This updated version of the L0phtcrack has several options which are displayed on the main window of the software, and they can be easily accessed and used by the user, it does not require any special education to use this software. Download: dnSpy Free for Windows 10, 7, 8 and 8.1. The updated version of the L0phtcrack has been programmed to generate different types of the Reporting which are displayed in a separate and in the form interface with tabs. The auditing results of this software can also show the auditing methods of the password character and the risk severity. The newest updated version of the L0phtcrack also gives you risk status about the password. These types of password risk status are categorized into four different types: Low risk, medium risk, high risk and empty. This feature of the L0phtcrack 7 will report you with the completion of the different characters which are being Including Alphanumeric, Numeric, Symbols, and International. Read: OpenVAS Free Download – Vulnerability Scanning Tool. In this particular guide, we discussed the password cracking and the auditing software named L0phtcrack Free Download. We further examined the creators of this software and how this software was owned by the different companies, and we also discussed the History of this software and all of the updating that occurred in different periods. Then we explained the working of this software then, in the end, we discussed all of the features of the new updated full version of L0phtCrack. Below is a 15-day official trial from the company that will be more then enought to convince you to buy it. L0phtCrack is one of the best password audit and cracking tools available. It is very fast, simple to use and has great support available online. However, there are many other great alternatives that are Free such as THC-Hydra and Cain and Abel.